Phantom Badger can be transported inside a V-22 Osprey aircraft. Image: courtesy of Boeing Phantom Works. 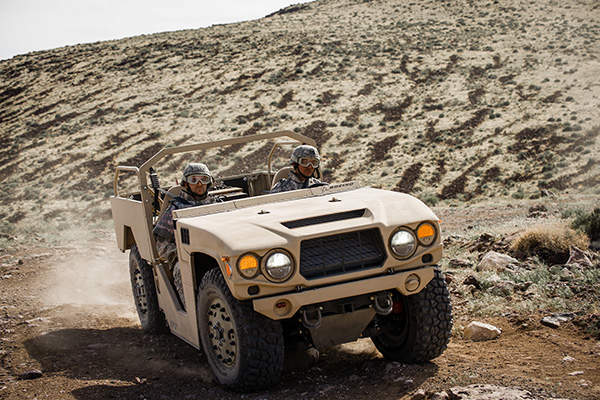 The vehicle features proven all-terrain performance and increased mission flexibility. Image: courtesy of Boeing Phantom Works. The combat support vehicle can fit into a V-22 Osprey aircraft’s main cabin with the seats retracted. Image: courtesy of Boeing Phantom Works. Phantom Badger has undergone more than 5,000 miles (8,046km) of rugged terrain durability testing. Image: courtesy of Boeing Phantom Works. 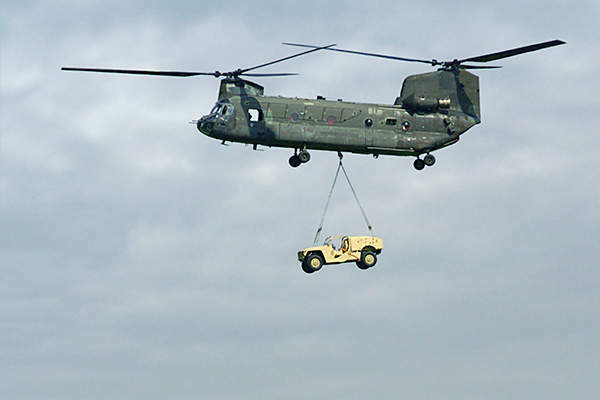 The Phantom Badger vehicle being lifted by a Chinook helicopter. Image: courtesy of Boeing Phantom Works. The vehicle can run at a maximum speed of 128km/h (80mph) on paved surfaces. Image: courtesy of Boeing Phantom Works. The rear sections of the Phantom Badger can be customised to make it suitable for wide range of critical missions. Image: courtesy of Boeing Phantom Works. 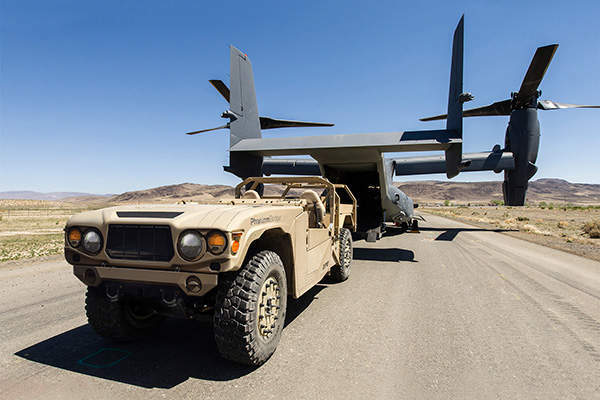 Phantom Badger has been certified as combat support vehicle for internal transport aboard the V-22 by the engineers at Naval Air Systems Command (NAVAIR). Image: courtesy of Boeing Phantom Works. Phantom Badger, a high performance combat support ground vehicle designed and developed by the Special Pursuit Cell (SPC) of Boeing Phantom Works, was unveiled at St. Louis facility in Missouri in May 2013. 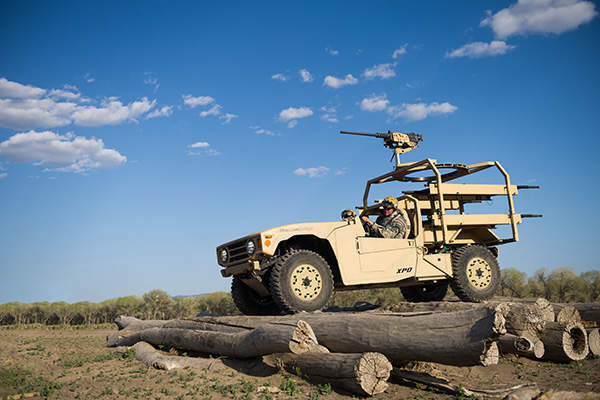 The vehicle offers better deployment options for the troops and executes a range of missions, surpassing the capabilities of the existing support vehicles. It was certified by the US Navy to be transported inside a V-22 Osprey aircraft after conducting a series of torture tests including form-fit checks and pressure trials, as well as structural evaluations in March 2014. Phantom Badger was developed on request from the US special operations forces (SOF) community, for deployment in the US Marine Corps and US Air Force Special Operations. 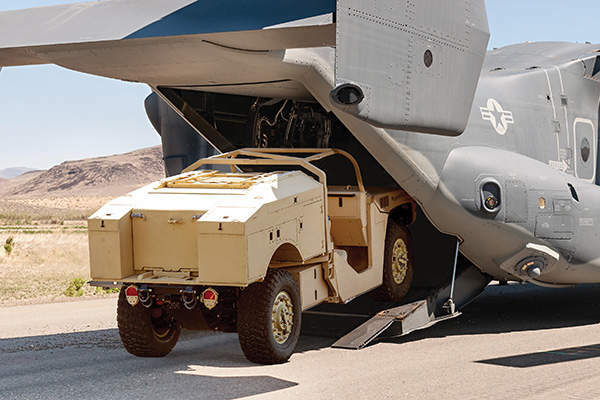 It is designed to fit in the V-22 Osprey and other transport aircraft so that it can be transported for carrying out special operations missions. Boeing partnered with MSI Defense Solutions, a company based in North Carolina, to produce the Phantom Badger. The vehicle has been in production since October 2013 at Boeing’s Mooresville facility in North Carolina. MSI provided the shocks and suspension system of the vehicle to tackle the challenging terrain and obstacles in the battle fields. It is also responsible for design and assembly of the interchangeable mission modules. Phantom Badger features an open-top hull incorporating a tubular frame roll-bar. It can carry five soldiers including two at the front, one in the centre and two at the rear. The vehicle also integrates accessories such as hydraulic pumps, bolts and winches. The rear sections of the vehicle can be customised to make it suitable for carrying out a wide range of critical missions including reconnaissance, explosive ordnance disposal (EOD), weapons carrier, and combat search and rescue. 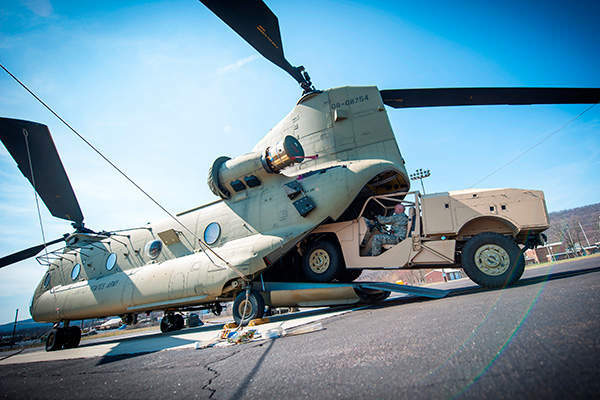 It can also be used to transport critically injured warfighters. Gross weight of the Phantom Badger is 7,850lb (3,402kg), whilst it measures in at 457cm (180in) in length and 152.5cm (60in) in width. 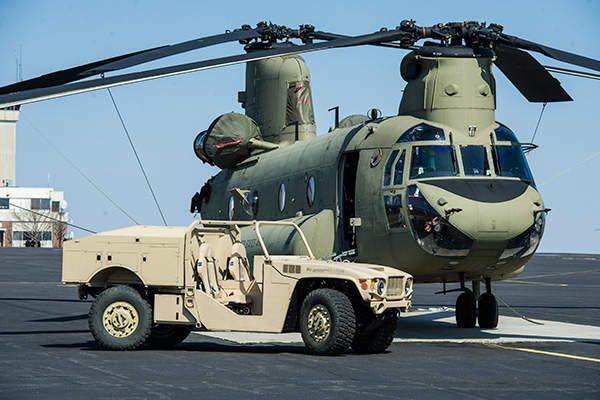 It also has a payload carrying capacity of 3,356lb (1,587kg) and offers proven all-terrain performance, increased mission flexibility and enhanced survivability. 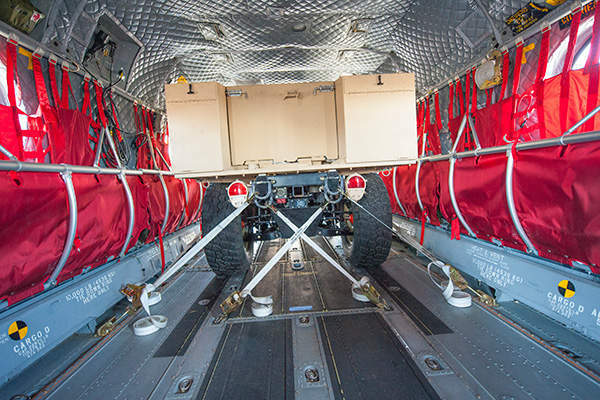 The vehicle can fit into V-22 Osprey aircraft’s main cabin with the seats retracted. A C-17 transport aircraft can house ten Phantom Badgers vehicles, while two vehicles can fit in a C-130 aircraft or a CH-47 Chinook helicopter. The vehicle underwent more than 5,000 miles (8,046km) of rugged terrain durability testing and successful airdrop tests from a C-17. The weapon mounts fitted on Phantom Badger can hold a 12.7mm heavy machine gun or a 40mm automatic grenade launcher. The vehicle can also be armed with 7.62mm general purpose machine guns or other weapons on the swivel station on each side of the rear hull. The vehicle is fitted with A V6 3L turbocharged multi-fuel engine is fitted on to the vehicle which burns JP-8 fuel or diesel. The engine produces a maximum power output of 240hp and generates a torque of 420lb-ft and the vehicle has a fuel consumption rating of 21 miles (34km) per gallon. Cruising range of the Phantom Badger is about 450 miles (724km) and the maximum speed on paved surfaces is 128km/h (80mph). The vehicle is fitted with height-adjustable suspension and 35in (90cm) tires and can cross waters up to 3ft deep.